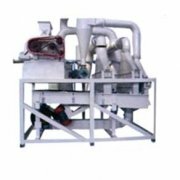 The complete set of Sunflower Hulling/Shelling Process Plant is a kind of appropriative hulling machine designed to hull, remove shells, separate and re-separate for many kinds of vegerable oil seeds such as sunflower seeds, peanuts, rapeseeds, cottonseeds etc. 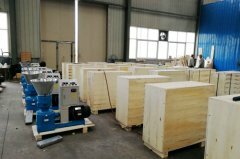 The distinguished characteristic of the Sunflower Huller equipment is that there is no need to grade the raw materials to more grades, only the AA grade required to be graded to 2 grades and processed separately. 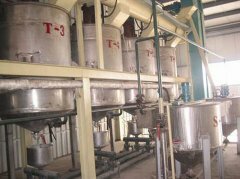 Furthermore, there is no need to separate the kernels from seeds by sieves any more, but by the positive-pressure separator. 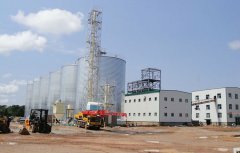 Therefore, the process has been simplified and the automatization degree and efficiency have been improved greatly. 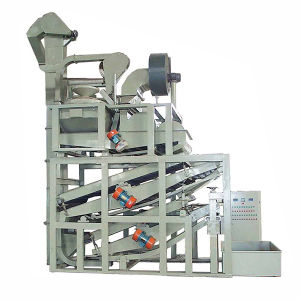 Sunflower Seed Dehulling Machine, a machine for dehulling flat disc-like seeds having a relatively heavy kernel inside the hull comprising a spinning rotor for throwing the seeds against an annular impact band to crack the hull. 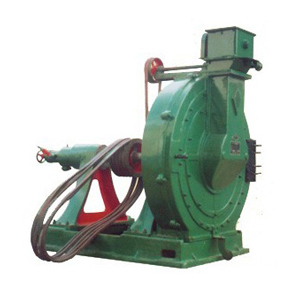 The rotor consists of a disc with radial blades on the surface thereof which define channels for orienting the seeds so that they are ejected like spinning saucers and strike the impact ring at their fault lines. The radial blades may also include a sweeping fin to clear the path of seed portions which might interfere with the impacting of the seeds.